Does anyone else get cold hands whilst working on the computer? It’s normally only my right hand which I use for operating my mouse, the left is a bit chilly but not causing any discomfort. I’m guessing its something to do with circulation, or some kind of mathematical equation to do with the angle of my arm? Nobody else? 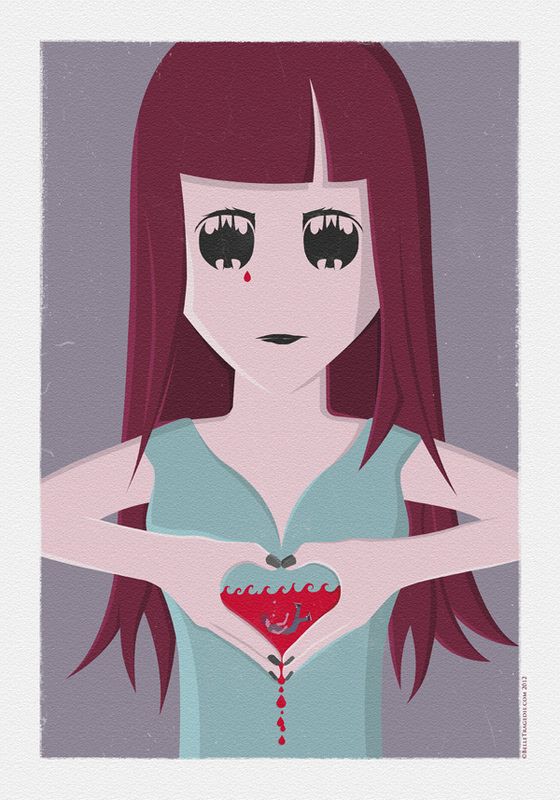 Anyway, the illustration above is called “Losing Heart” and is pretty self explanatory . It wasn’t influenced by anything in particular, not consciously anyway, so just one of those ideas that popped into my head and stuck pretty closely to the original sketched draft. I was’t sure how it would turn out throughout the production process, but I’m pretty pleased with it. I like the colours in particular. Right thats enough writing, I don’t like waffling on. Also the cat is sat on the stairs meowing at us so it must be bed time. Goodnight all.